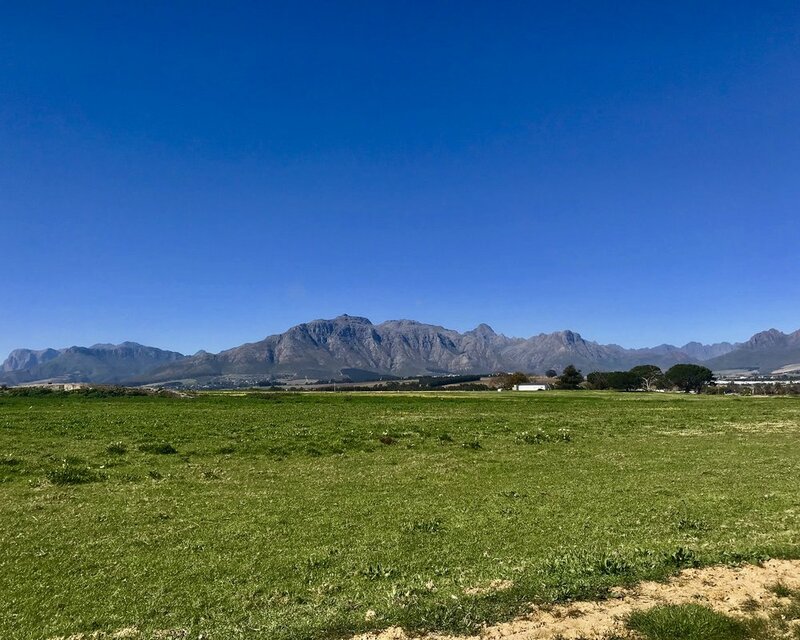 In August 2018, Jessica Toale spent just over two weeks in Cape Town, as part of a journey she took to spend time living and working in ten different countries last year. During her time in Cape Town, she worked closely with Impact Human staff to collaborate on this unique and pressing project. She interviewed seven people, both in Cape Town and in surrounding areas. She spoke with a water management expert, farmers impacted by long term drought, community activists, and others all adapting to life at 50 liters a day. In February 2018, the City of Cape Town set out restrictions to manage an increasingly scarce and vital resource - water. After dam levels reached just over a third of capacity, the City implemented a strict 50 liter per person per day water ration. Using in excess of this results in fines. But some who call Cape Town home do not have full access to water. Many in poorer areas have to queue up to collect water everyday, and rarely use more than the 25 liters they can carry. The water crisis has underscored the social inequities and disparities between those with the least and those in the middle classes. Cape Town is the wealthiest city in South Africa, with the highest income inequality. Nevertheless, lining up to collect water will become a reality for everyone if dam levels reach 13.5% of capacity - making Day Zero eminent. Day Zero would mean taps across Cape Town are shut off. Residents would have to go to one of 200 water collection points, and be limited to 25 liters per person per day. All around Cape Town, visitors and locals are reminded to limit water use through the Think Water and other initiatives via billboards and signs. Businesses are also doing their part to remind patrons to limit water use when using the lavatory. 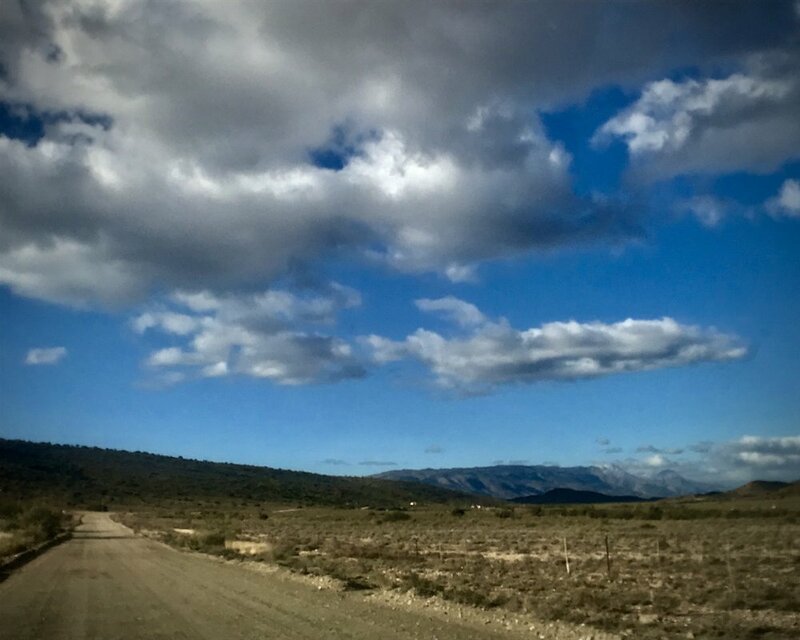 Thanks to public education efforts, recent rations, water management efforts, and a very welcome amount of rain; Cape Town avoided Day Zero, which was anticipated for April 2018. Now Day Zero is anticipated for August 2019, thanks to a very strong El Nino that brought dam levels back up. In March 2019, the City increased water allowances to 105 liters per person per day. It’s unclear as of yet if this increased allowance will help or harm communities in the long run, as the reality of climate change means a world with water displacement, where many areas face drought while others see drastic flooding - both occurrences unprecedented respectively. Cape Town is planning to spend up to $1.5 billion to construct four water desalination plants to provide water for residents. Currently, these plants rely primarily on fossil fuels. Meaning that the City’s response to adapt to climate change is actively contributing towards climate-causing emissions. Addressing Cape Town’s water crisis will require a long-term plan that takes into account the co-benefits of: climate resiliency and mitigation, emissions reductions, community engagement, and fostering social equity. Right now, the world is watching to see just how Cape Town will rise to the new reality of water scarcity in a climate-changed world. What Cape Town does can serve as a learning opportunity for future cities and communities also running towards their own Day Zeros. Learn more about what has led to Cape Town’s water crisis, the solutions the City is implementing, and what future solutions the City could inact to avoid Day Zero. The reality of life at 50 liters per person per day has been an awakening. For those in the City, it has meant the realization that water is a finite resource. But for those in agricultural areas, prolonged drought has been an ever-present force for years; it’s even crippled some small farms. The dichotomy between income levels, between rural and urban water access will be something the City and the nation of South Africa will have to address in the years to come. Below are the stories from Cape Town, showcasing the challenges of access to water and to life below 50 liters. Sikelela is a community activist and the owner of Siki’s Coffee Café in Khayelitsha, Cape Town’s largest township. After working for one of South Africa’s biggest coffee chain brands, Siki decided to set up on his own out of his mother’s garage two and a half years ago. He has seen first-hand the challenges of accessing water for these communities. He plans to expand his business and make it a hub for creatives and entrepreneurs in the Township. Sikilele Dimbela owns a cafe in Khayelitsha, Cape Town's largest Township. He describes how the possibility of a severe water crisis was well-known. Before moving to his current house, he and his family lived in a part of the Township where they had to collect water from a standpipe on a daily basis. Sikilele is a community leader and understands first-hand the impacts of water shortages on Khayelitsha and other areas of Cape Town like it, where people do not have security of tenure nor access to many basic services. Khayelitsha and other Townships use a fraction of the City's water resources. People who live there rarely come close to using the amount of water dictated by the restrictions. Even though Sikilele's business hasn't been directly affected by water restrictions, many people's livelihoods have, especially those who, for lack of other employment opprtunities, run local car washes. And they haven't been helped to find alternatives. Sikilele wants the City to leverage technology better to solve the water crisis; and he wants the people of Khayelitsha to benefit from this as well. Siki aims to inspire and empower creatives and entrepreneurs in the Township, and often hosts events and meetings at his coffee shop. He has a strong message for Government and wishes Cape Town’s government would do the same. Natalya is a farmer in the Klein Karoo. She and her partner own a small farm near Ladismith. They moved to the area from Cape Town three and a half years ago. There has been no rain, and they are now on the verge of losing their farm and their livelihood. Natalya also runs a business bringing fresh farm produce to the Cape Town metro area. However, this business has been suffering since the drought hit in 2015. Natalya and her partner moved to the Klein Karoo four years ago. Since then it hasn't rained. Owning a farm was a dream of theirs, and they made sure to fully consider the financial implications based on historic rainfall patterns, but that didn't forecast for them what the future would hold. The year they moved to the farm they had some unexpected costs due to the condition of the property. They needed to spend money feeding animals and restoring the fields to get things up and running. When the rain didn't come they had to start borrowing from the bank to feed the animals. Each year became increasingly difficult, and they kept getting farther into debt because the rain never came, and they couldn't afford to dig and run a borehole. Without rain and the ability to grow produce, it feels like an impossible situation to maintain the farm. They had to start getting rid of their animals. The whole community has been affected. Even the wild animals are suffering from the drought. Her cabbages are regularly being eaten by rabbits and other wildlife. From no fault of their own, they are about to lose everything. 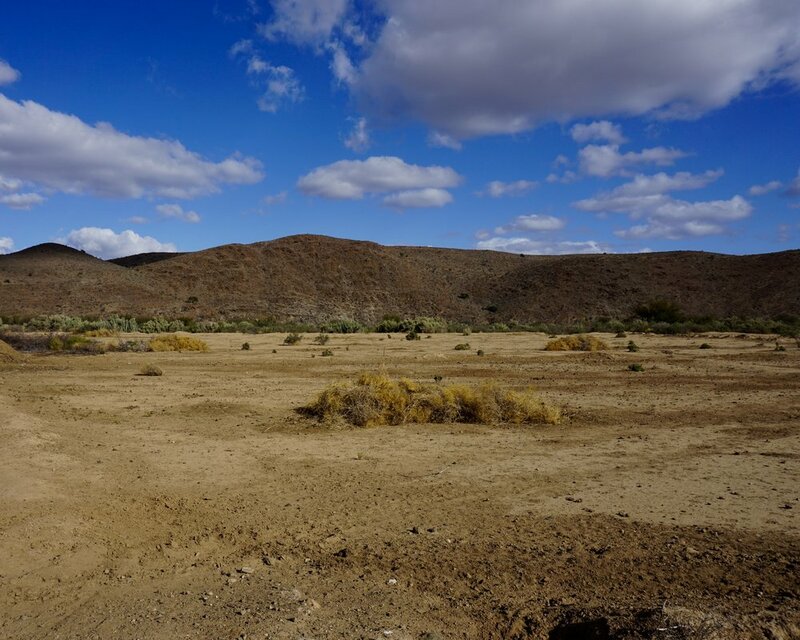 Despite the dry conditions, there is very little help from any level of government. Natalya's hens are one of the last sources of income she has. Her produce supply business has been affected by drought and the country's poor economics. Natalya believes that all the farmers in the area should be working together to fix this problem. 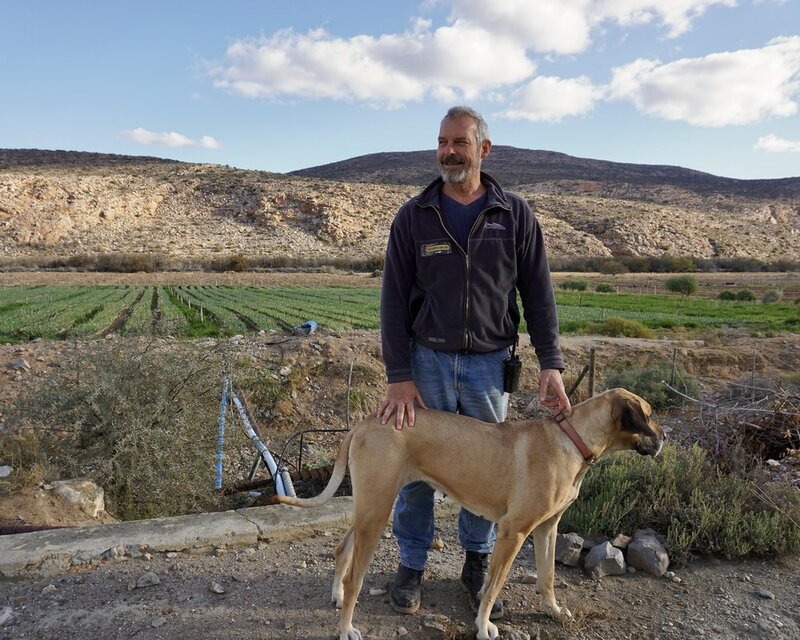 Carl is a farmer in the Prins River Valley in the Klein Karoo. Carl and his family have been in the area for the past seven years. Originally Carl grew alfalfa, known locally as lucerne, and raised sheep, goats and ostriches. Since the rain stopped in the area he has had to sell almost all of his animals, and the farming he does now is seed production, which uses significantly less water. He and his family are now deciding whether to continue farming, or to sell the farm before they are no longer able to do so. Since the rain stopped, farmers have had to adopt alternative strategies. 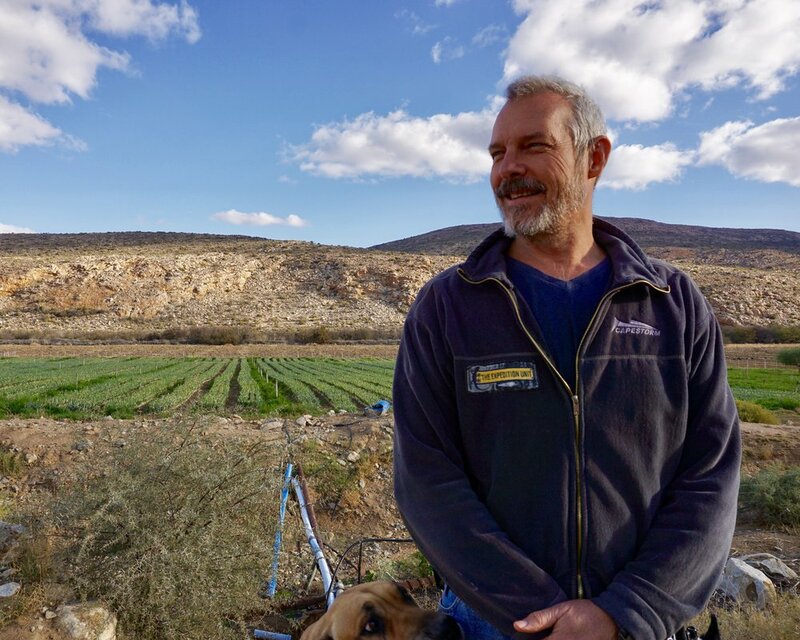 Carl is now doing seed production, which relies on drip irrigation and uses less water, but he has had to get rid of nearly all his animals, since they were no longer able to feed them. 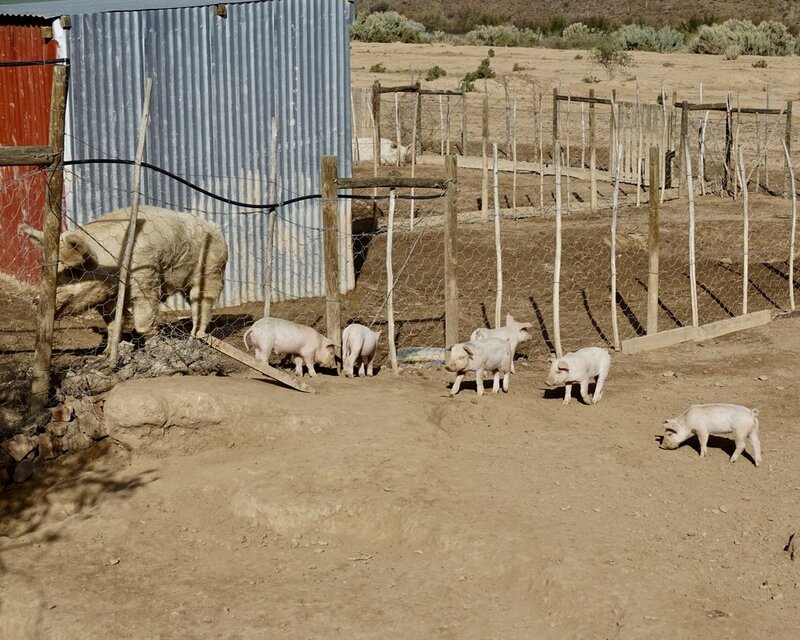 Carl Buckle owns a farm in the Prins River Valley between Ladysmith and Montagu. The fields all used to be used for growing alfalfa, a plant used for animal feed. The farmers in the area have never seen anything like this before. Even seed production can be precarious because of the drought. The ecosystem needed to sustain agriculture has been seriously affected. 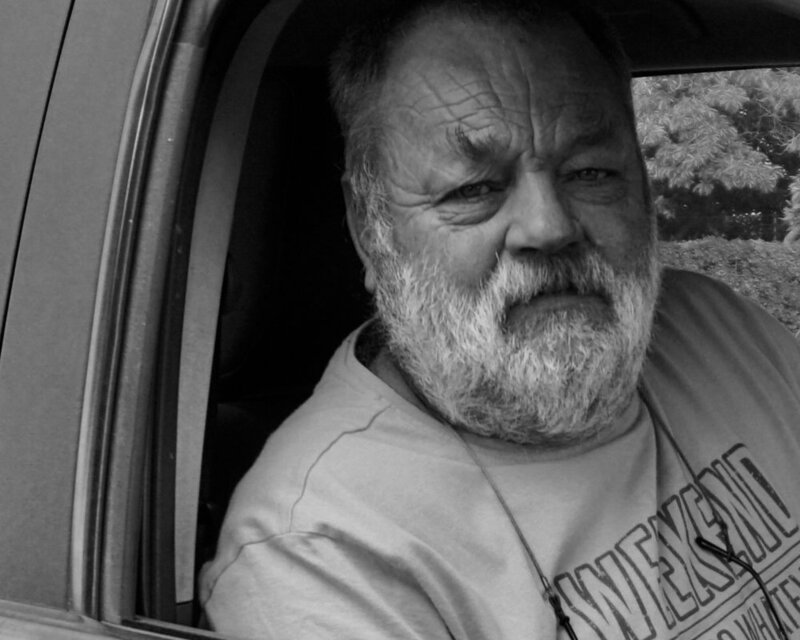 Many families like Carl's are now in the position of having to decide whether they sell their farms or carry on. 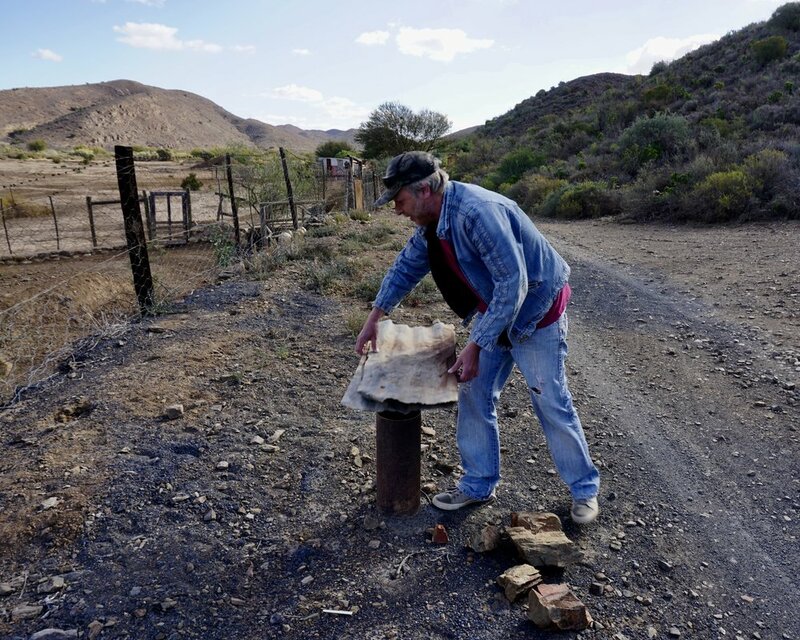 It hasn't rained in the Prins River Valley in four years. Farmers rely on the river to irrigate their fields. Farmers are relying on boreholes, but even these are drying up. Of the few animals left of the farm are Carl's dog, Dana. 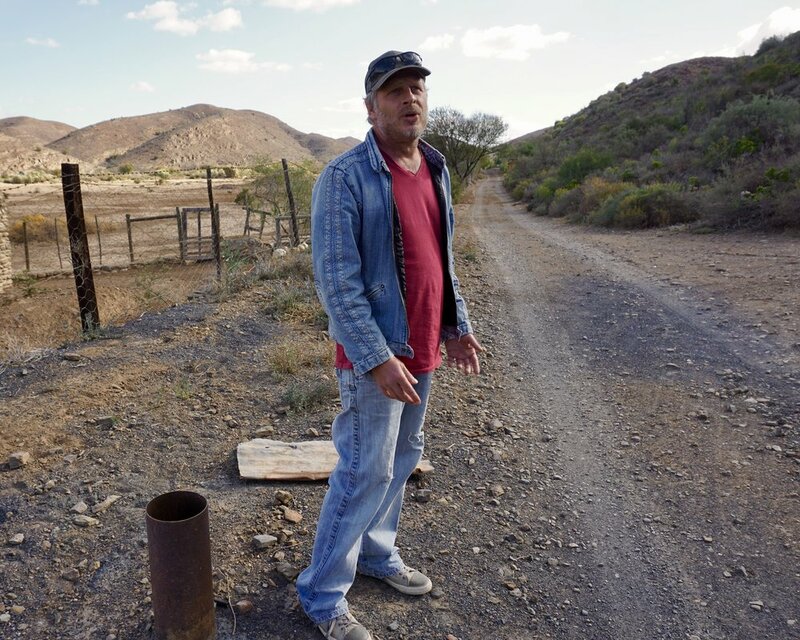 Andrew Sokolic is an activist who lives in Plathuis in the Klein Karoo. While his main source of income comes from installing solar panels, he and his girlfriend live completely off-grid on a small farm where they raise sheep and pigs. He has lived there for ten years. 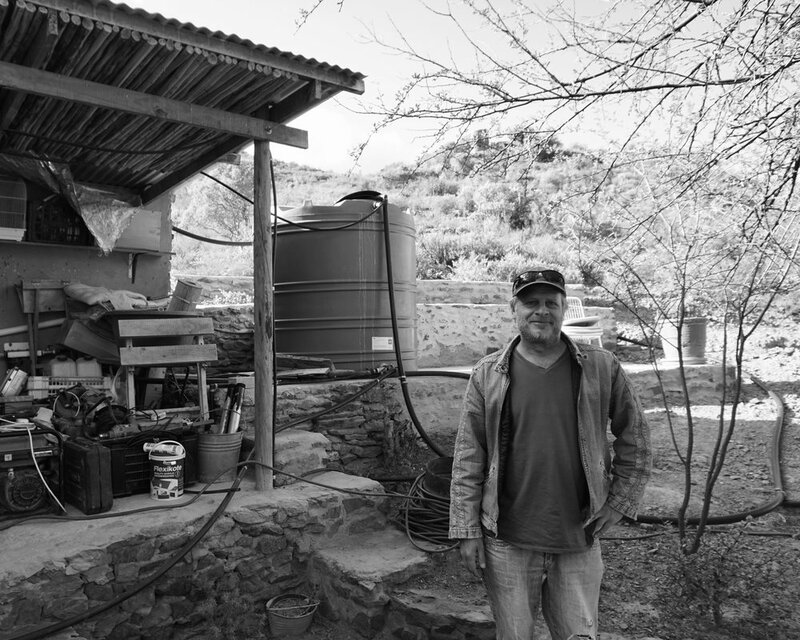 In 2016, Andrew set up the Western Cape Water Shedding Facebook Group after seeing the widespread impact that the water crisis was having in his local community and beyond. 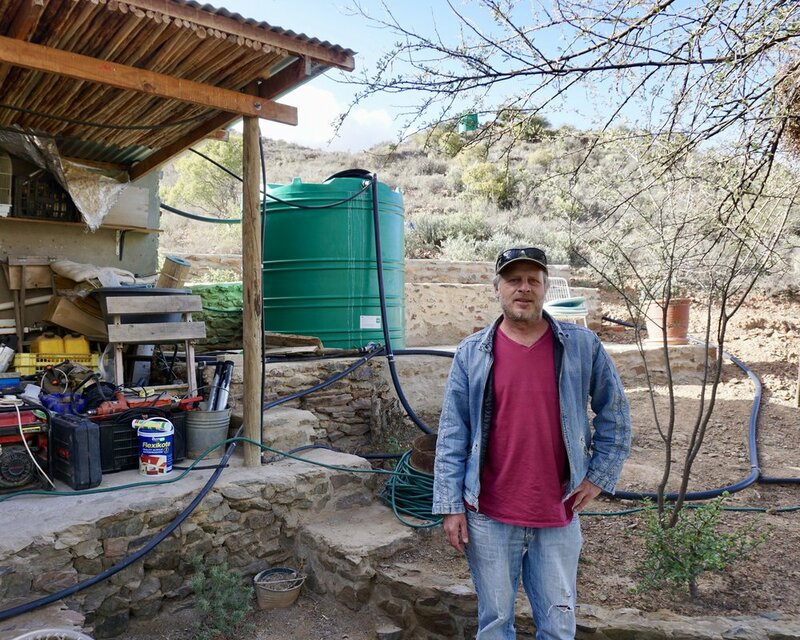 Andrew lives on a 20 hectare farm in the Klein Karoo that used to be fed by a river that ran at the bottom of the property. There has been no water in the river since 2014. The fields on Andrew's properties used to grow a plant locals call lucerne [alfalfa] that the animals ate. It was maintained by regular rainfall. Andrew began drilling boreholes on his property when the river dried up. This borehole lasted for a few months before it dried up. Boreholes are an expensive means to getting water and unfortunately, Andrew found that the water in his boreholes was turning salty. Andrew invested in a reverse osmosis machine to deal with the salt water coming from the boreholes. But this has its own challenges. The 1,000 liter tank Andrew uses to collect water from his neighbor. Behind the tank you can see his barren fields. While most of the farms on the right hand side of this road have no water, Andrew's neighbor on the left has an abundance which he sells to local farmers. Andrew in front of his water tanks. Andrew and his girlfriend now rear only pigs and sheep on their farm. They previously had cows, but couldn't look after them and were relying on a neighbor for help. Andrew and his girlfriend would like to rear more sheep, but they need a lot of space and food - both of which require more water. Growing feed in the fields is essential to being able to rear the animals. And to do this they need water. Andrew moved to the Klein Karoo ten years ago. He compares his life there to Cape Town. Andrew lives totally of grid and also has three water collection tanks behind his house. These provide drinking water for him and his dogs, and can keep them going for up to a year. Andrew's house is completely off-grid, and he installs solar panels for a living. The solar panels run all the electricity in his house and the pumps needed to bring the water up out of the boreholes. Andrew started the Water Shedding Facebook group in 2016 because he was worried about future water security. The group now allows people to share information about water levels in their areas and advice on dealing with the crisis. Andrew talked about the impact that the water crisis has had on people's awareness. 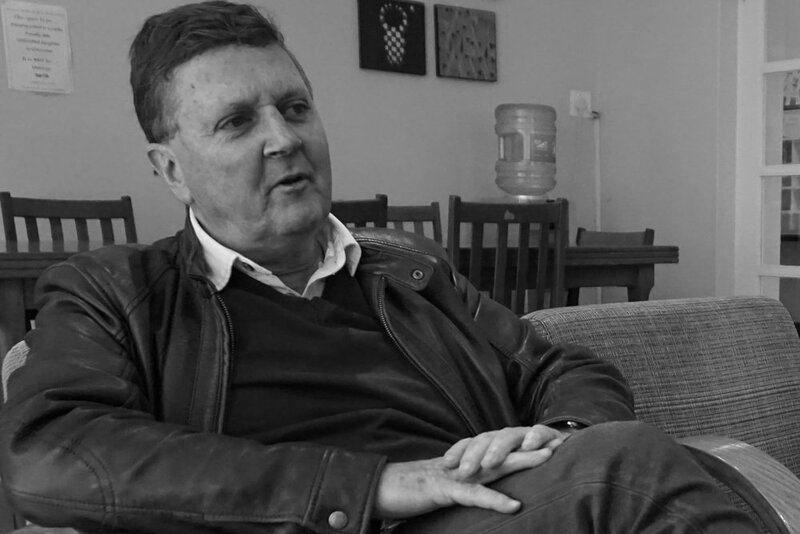 Dr. Kevin Winter is a Senior Lecturer in the Environmental and Geographical Science Department at the University of Cape Town, and is the Lead Researcher in the University’s Future Water Institute. He also sits on the City of Cape Town's Section 80 Advisory Committee on Water Resilience and organizes an annual “Peninsula Paddle”, to raise awareness about the health and quality of water in Cape Town. 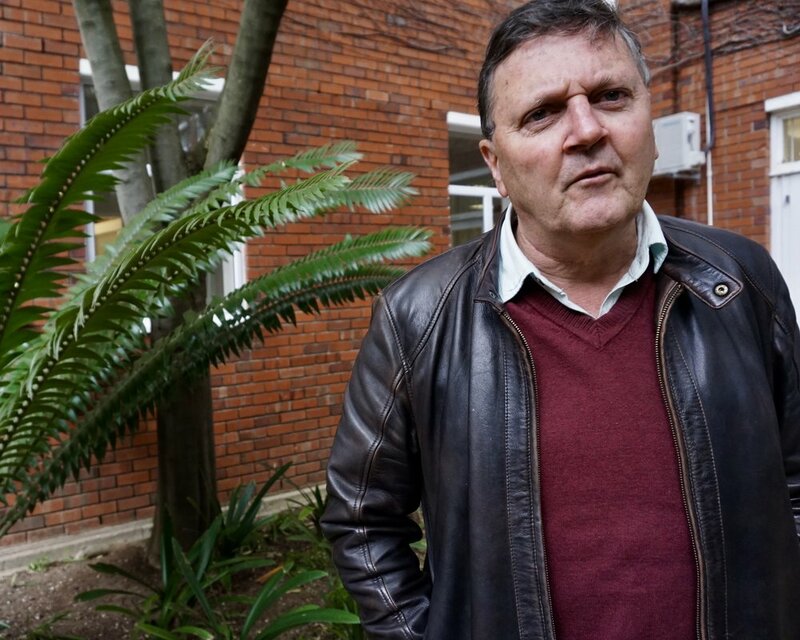 He has been aware of Cape Town’s water problems since the 1990s, and believes a radical shift in the city’s urban development is needed to solve this pressing problem. 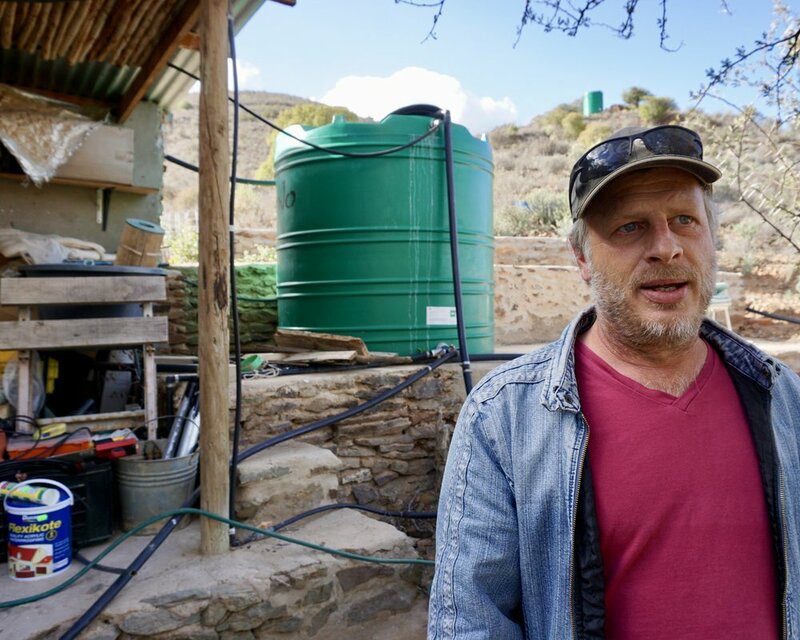 Kevin has been aware of water issues in Cape Town since the 1980s when he was a student at the University of Cape Town (UCT). Since then, the problem has recurred and small adjustments have been made to adapt. Since the most recent crisis began, the City has taken steps to reduce its use of water. But Kevin points out this was from a very high starting point. October is a critical period as it is the end of Cape Town's hydrological year, where dam levels need to sustain them through the next summer. Kevin believes the City's water levels are no better than when the first signs of the crisis unfolded. Kevin is working with the City government to improve their water management. He believes they have gotten much better at using data to inform their decisions and improve systems. Despite this Kevin believes the City is far too focused on managing the supply of water rather than the overall cycle of water use, including: quality, waste water management, and equity of distribution. 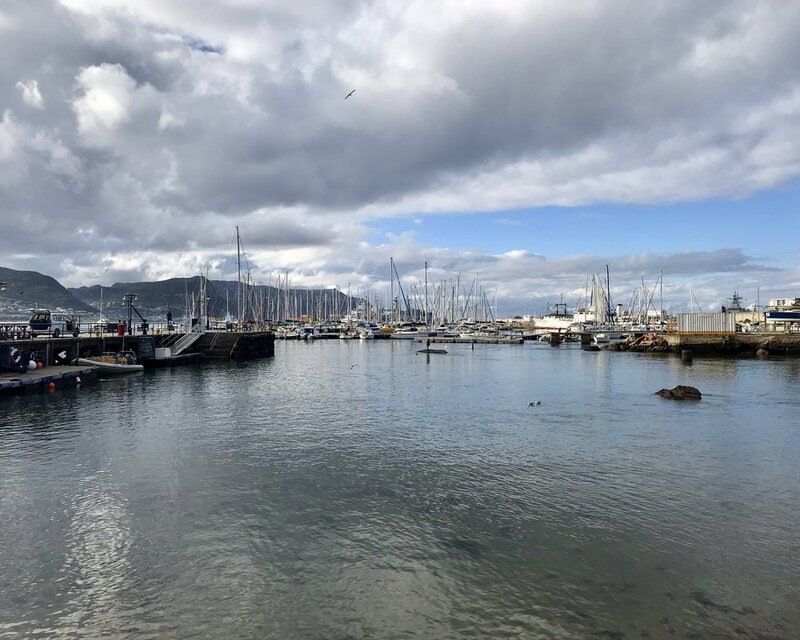 Every year, Kevin runs the "Penninsula paddle," a canoe ride through the City's canals, to raise awareness about the quality of water in Cape Town. He believes the canals are key to understanding the health of the city. 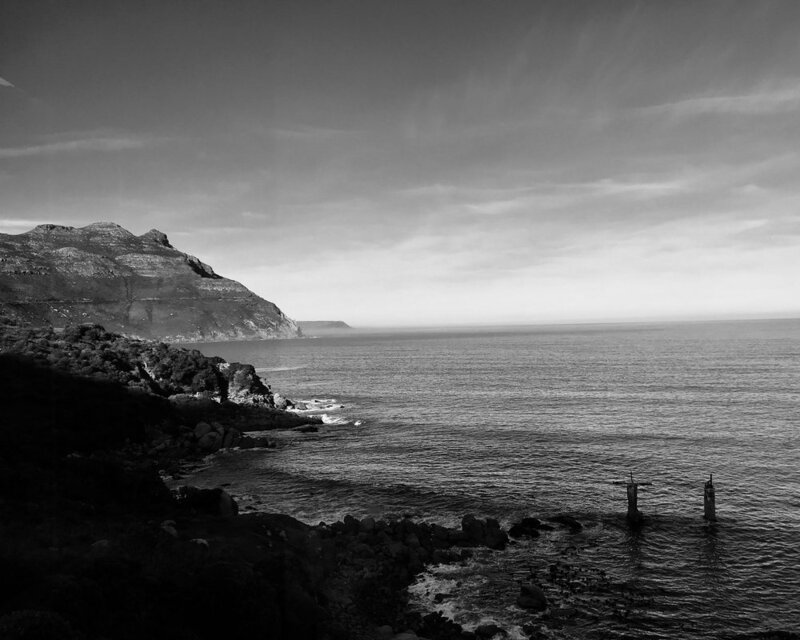 It goes through some of the most under-serviced areas and toughest places to live in Cape Town. Kevin talks about the economic impacts of the water crisis. They have been keenly felt across all sectors, including at the university, which has experienced a drop off of student numbers. Kevin says the City has funneled a lot of money into public awareness campaigns, but much more can be done. Kevin believes that the way individuals and communities use water is key to solving the crisis. Bradley is a Biokineticist, a specialized exercise rehabilitation therapist, who runs his own practice from home in Stellenbosch. He has lived in Stellenbosch for the last twelve years. 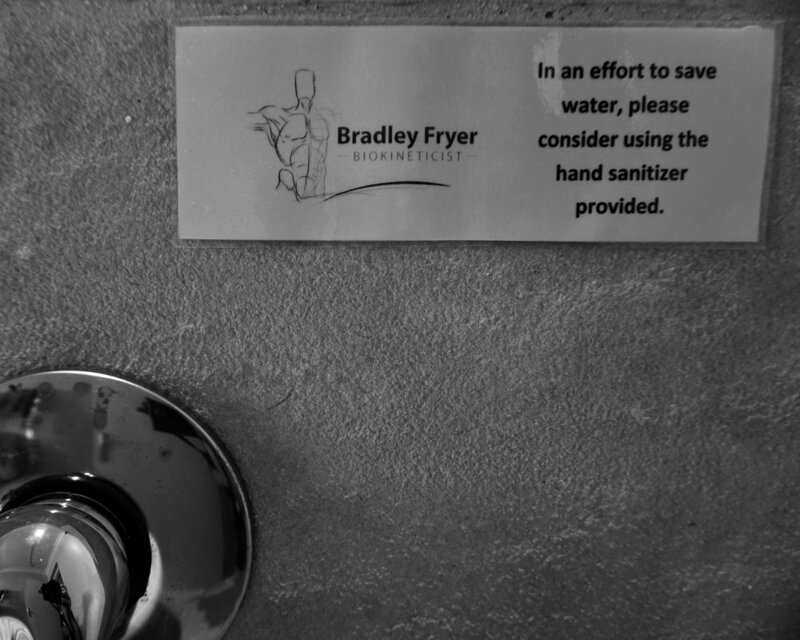 Bradley has taken steps to reduce his household water consumption and raise awareness amongst his clients. While he is generally positive about his ability to live within restricted water levels, he and his housemate are worried about how they would manage if the city is forced to shut off the taps. Bradley is an exercise therapist who lives in Stellenbosch and works from home. He is keenly aware of the water crisis. His day-to-day life has been affected by the water crisis and can only use 50 liters of water a day. Even though Stellenbosch is located outside the Cape Town Metro-area, it is still affected by the restriction. 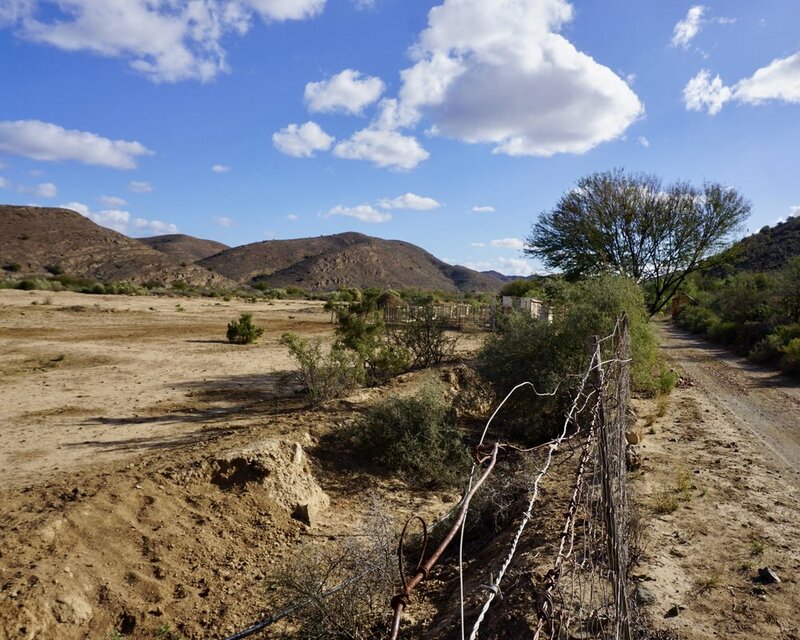 It is an area that relies heavily on agriculture, particularly vineyards and tourism, two industries direct affected by the water restrictions. Bradley is positive about living with only 50 liters of water a day, and has found it easy to reduce his consumption. Bradley believes there are many strategies to reduce water, as he is doing in his household, but the important part is whether people are actually implementing them. Bradley's household has two people. Bradley talked in more details about the techniques they use to save water. In the kitchen they use a five liter bucket in their sink to monitor their usage of water while washing dishes. They have reduced the length of their showers and employ a number of water reuse strategies. Even with all these different measures in place to reduce their water consumption, Bradley has found the change a profound learning experience. Bradley has also put up signs in his bathroom to remind clients to reduce their water consumption. He believes it is one way he can contribute from a business perspective. Even though this may be more effort, using hand sanitizer saves significant amount of water. Bradley thinks the signs have had a real impact on his clients' awareness. Bradley is mindful of the future and doesn't think restrictions should be lifted. Bradley talked about the impact Day Zero would have had on him and his housemate, and how they would manage going to work with the need to go collect water from designated points. While the City has taken measures to alleviate the crisis, he is also worried about the ecological impact of some of these measures. Bradley is mindful of the impact that climate change has had and is going to have on Cape Town. He believes the city needs to start thinking differently about how it uses its resources to prepare for the future. 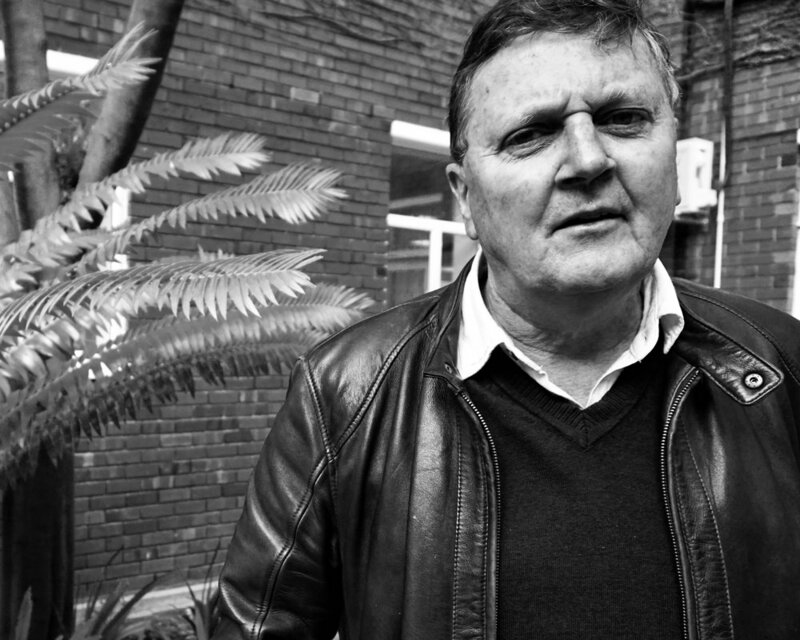 Deon Smit is the founder of South Africa Water Warriors, an organization that helps distribute water to communities and not-for-profit organizations in the Western Cape Province. Deon set up the organization in February 2018, because he felt there wasn’t enough help for people being affected by the water crisis. He has been active on water issues in Cape Town and the Western Cape since 2005. 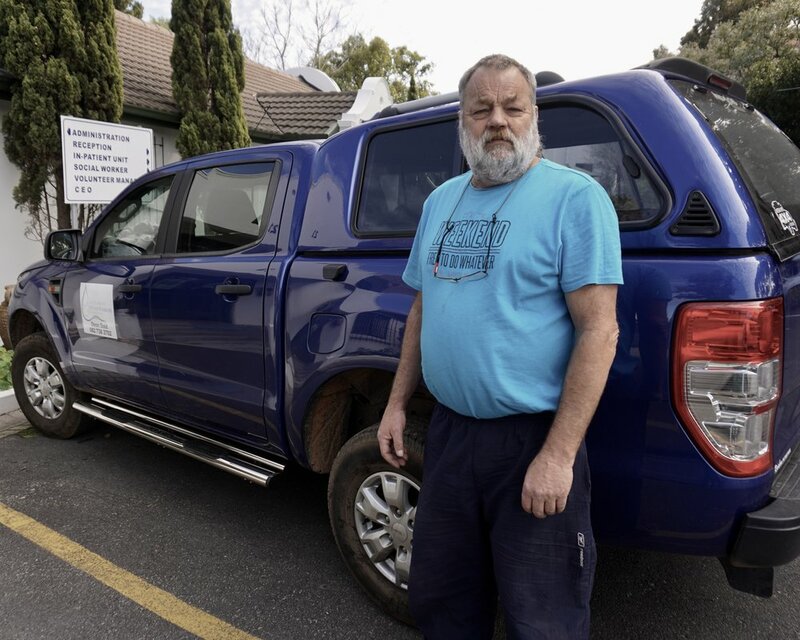 Deon Smit delivers water to a hospice outside of Cape Town. He has been a water activist since 2005. Deon delivers water all over the Western Cape to farming communities and not-for-profit organizations. In this hospice, the water delivered is stored in shipping containers until it is ready to be used. Aside from his humanitarian work, he recognizes the scale of the problem. 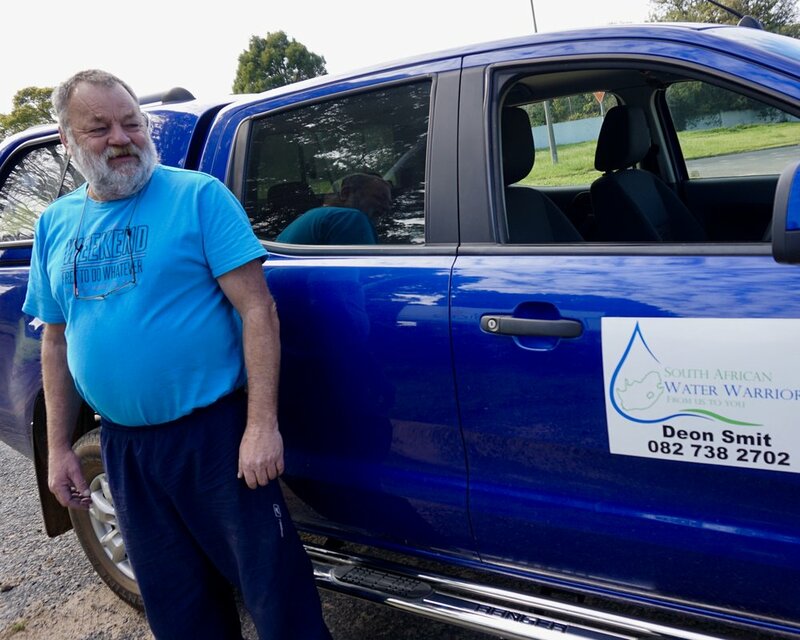 Deon set up South African Water Warrior in February 2018. Deon believes the City Government can be doing much more the help save water, including improving the way buildings use water. Deon believes the City Government can start by saving water in their own buildings. Deon has seen many positive changes in the way people are aware of their water consumption, since the beginning of the crisis, and doesn't think the restriction levels should change. Deon has seen many positive changes in the way people are aware of their water consumption since the beginning of the crisis and doesn't think the restriction levels should change. Cape Town is a city surrounded by water. 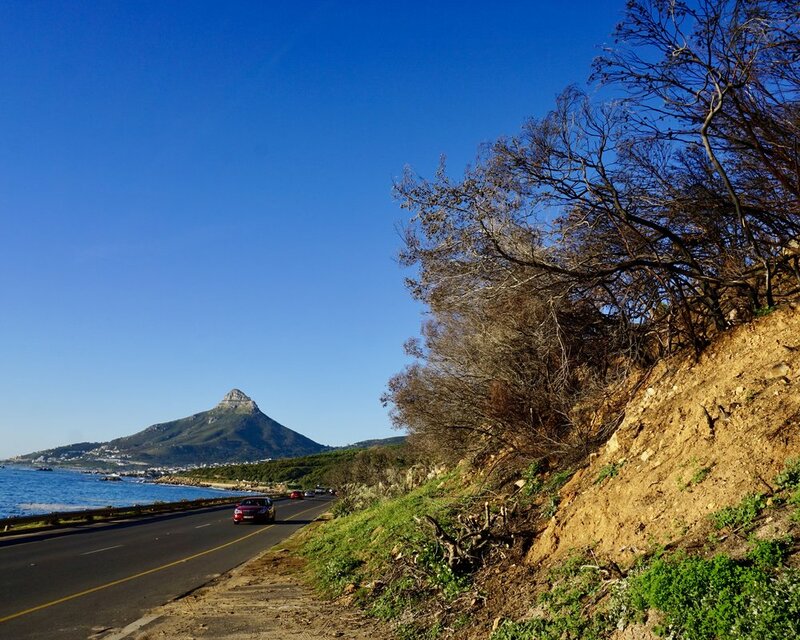 Juxtaposed against picturesque views, unique wildlife, and the vibrancy of a major city; is the reality that Cape Town’s water resources are at risk. At every turn, tourists and locals learn quickly that water is precious and cannot be wasted - thanks to the City’s public education efforts and private business notices. 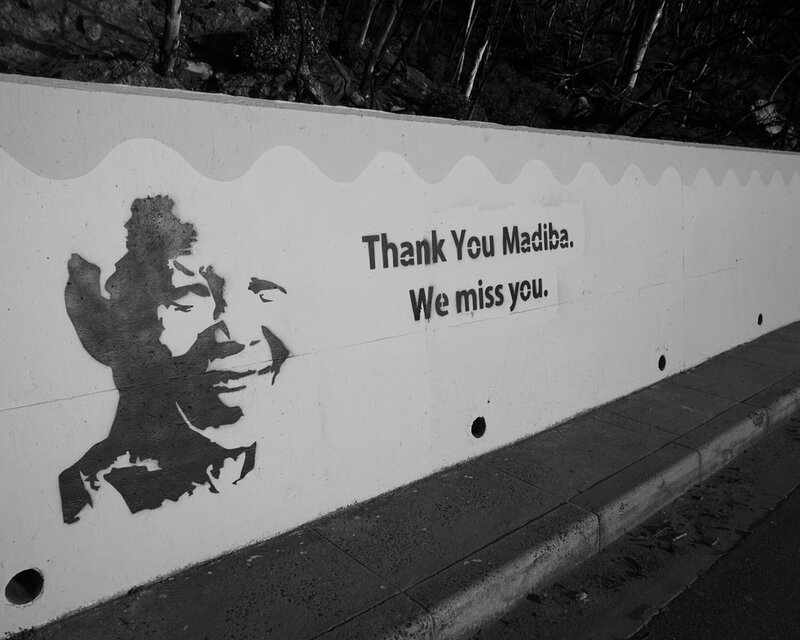 Here you can see an homage to Nelson Mandela (Madiba) along the Coastal Highway. 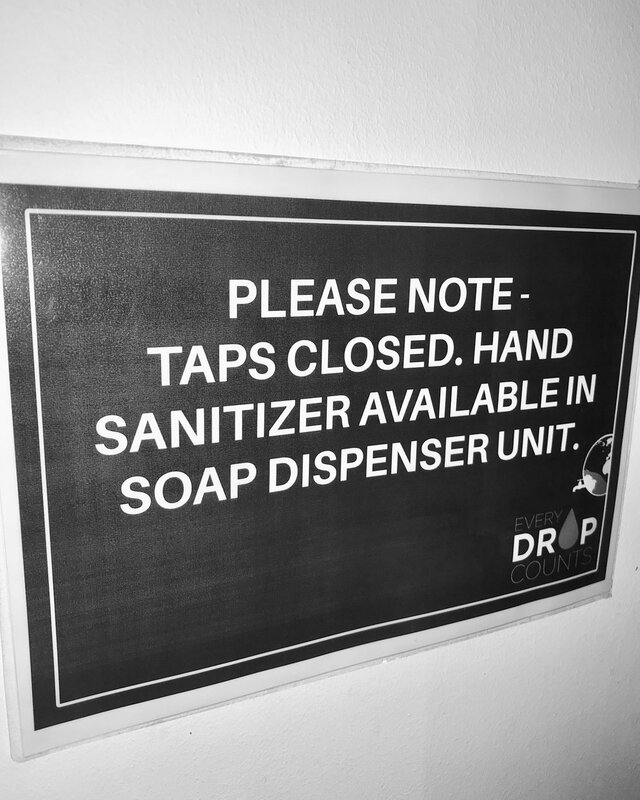 Private businesses are also placing notices to encourage water-saving measures.